I'm looking to mix and match some of my rolling stock. Following on from my successful request for Bachmann coach dimensions, could some one please help with the dimensions of the LGB variety? The Bachmann coaches are about an inch thinner than my K-28 tender and look, lets say, a bit undernourished! Therefore I wondered if the LGB offerings are to the correct width? are you talking about the American clearstory ones like a 3080? Answering a question that you have not asked!!! 8' 5" wide for Chili Line Open End Coach.(No. 320) - 114,0mm in 1:22.5 scale. 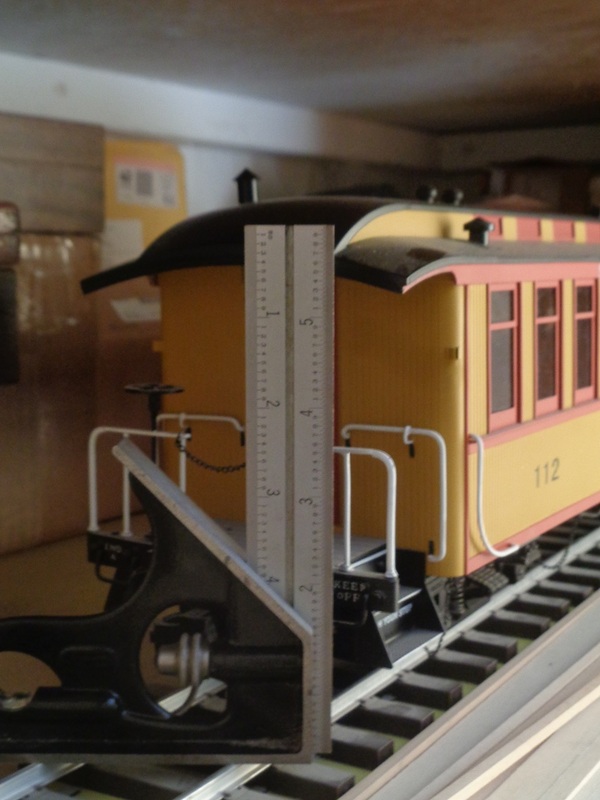 My Bachmann coaches measure 104.4mm wide. So yes, they are about 10mm too narrow to represent a D&RGW coach. So apart from being too narrow and too short they are fine, and the height is correct at 94.8mm. Just need to splice in more width and length!!!! As for LGB coaches I am afraid I am no help as I don't own one. Sorry if the above didn't answer your question, but it helped me! 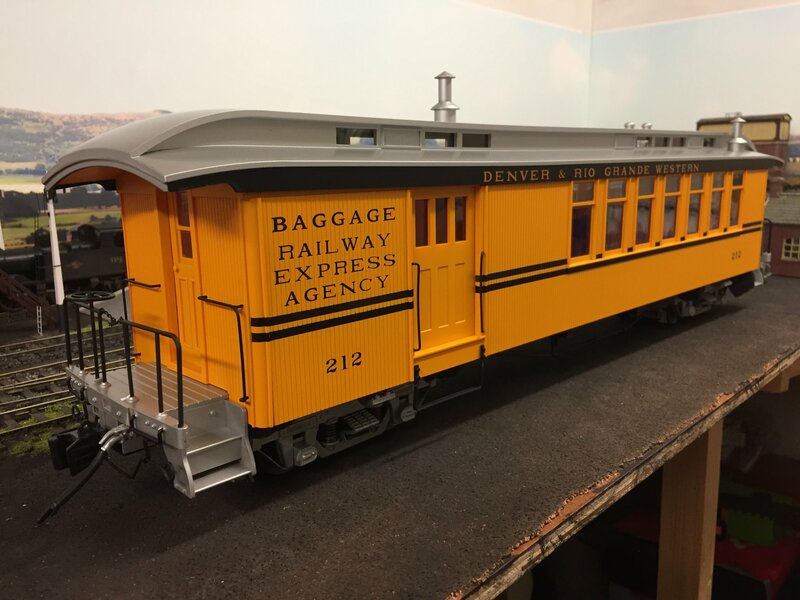 These Custom Model Products coaches are aprox five inches wide. 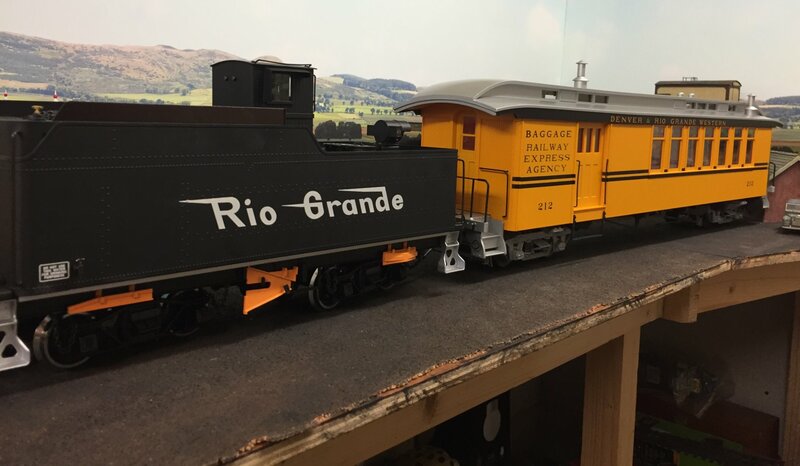 The Bachmann coaches are by average about 1:24 although approximately 6ft short compared to the prototype. I don't have an LGB J&S coach but kinda like the look of the window sills that seem to sit lower. Interesting it being wider than the Bachmann model. Perhaps it is more along the lines of 1:22.5. The AristoCraft coaches look shorter again and likely to be 1:24 scale. The Accucraft 1:20.3 scale J&S coach is in a totally different league compared to the LGB, Bachmann and AristoCraft models. It is full prototypical length and a much larger model overall. It will make your yardstick look small. 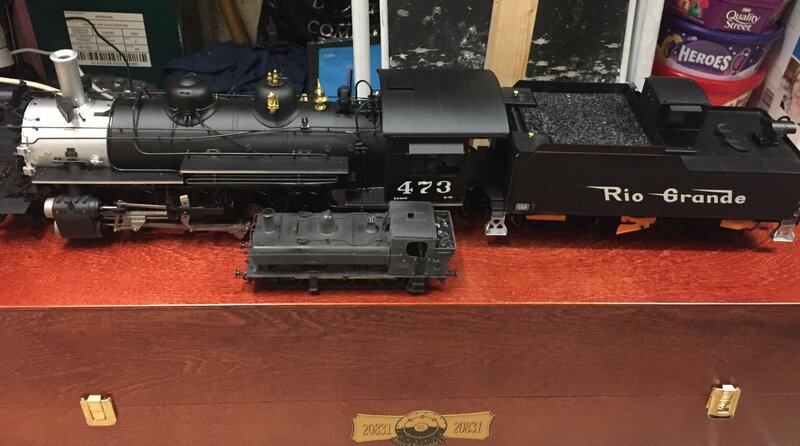 Accucraft & LGB coaches together in image below borrowed from linked forum post. The Accucraft coaches come in at just about 11mm above the tender brakemans’ hut and 17mm higher than the loco cab roof. I read an article (trying hard to find it again) on lowering the coaches by a few mm which will improve matters. What I can’t do is add the extra 25mm to the width of the Peko, Bachmann or LGB coaches. I could have a go at increasing the length, but it just seems better to go with the Accucraft coaches. I’ll post some photos once the coaches are home. They may be big, but not THAT big! Those Custom Model Products haven't been available for several years. They were made by Accucraft for a gentleman in Calif, and he died and his widow sold off the stock. I would suggest pursuing the thread linked above. 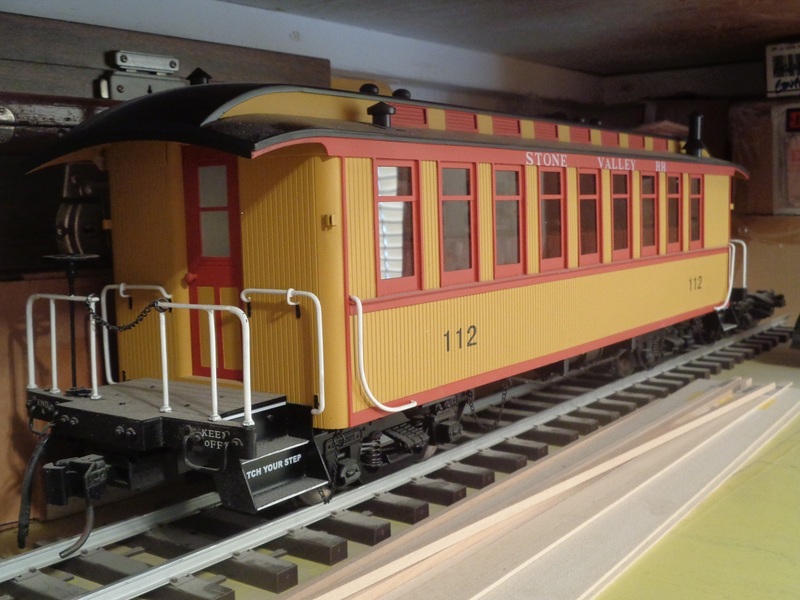 The Carter Bros coaches were a "masterclass" project on Mylargescale.com and are relatively easy to build. Harald of the Lasergang still makes the kits.